There’s a class of luxury large SUVs that caters to the demands of a loyal fan base and the models of both Mercedes-Benz and Cadillac deliver. We’re honing our razor sharp focus on the 2018 Mercedes-Benz GLS vs 2019 Cadillac Escalade, to task ourselves with the impossible chore of picking a winner between the two. Sure it’s a tough job but someone’s got to do it and we’re up for the challenge. Enjoy this comparison of the 2018 Mercedes-Benz GLS vs 2019 Cadillac Escalade. We’ll get started by approaching the performance of the Mercedes-Benz and the Cadillac side-by-side. 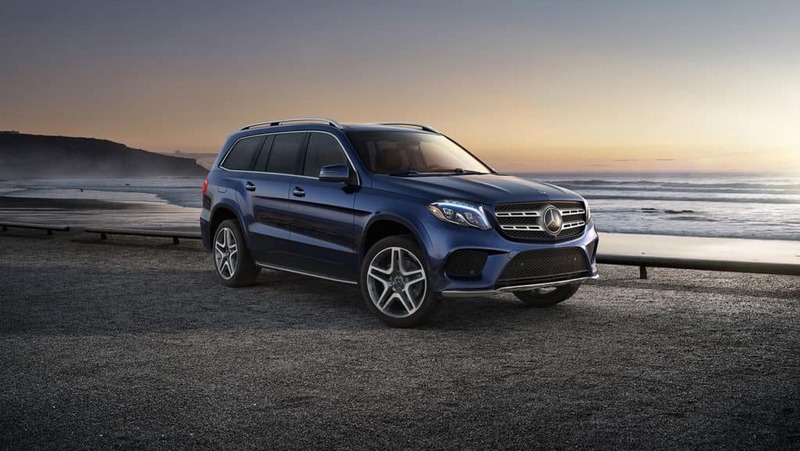 The 2018 Mercedes-Benz GLS offers a choice of three powerful engines, each of which pairs with a smooth-shifting transmission. 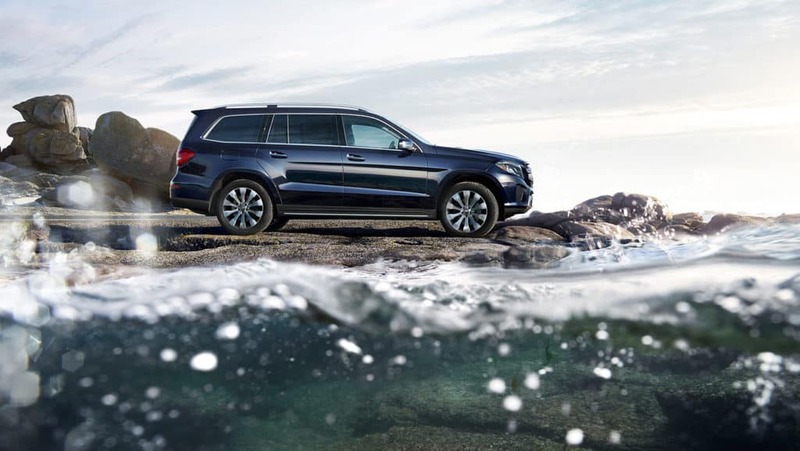 The GLS 450 comes with a twin-turbo 3.0-liter V6 engine that puts out 362 horsepower. You might think a big SUV needs a V8, but this V6 has plenty of power for most driving situations. You can step up to a V8 by opting for a higher trim. The V6 gets the best fuel economy of the group, but the two available V8s deliver outstanding power and acceleration. 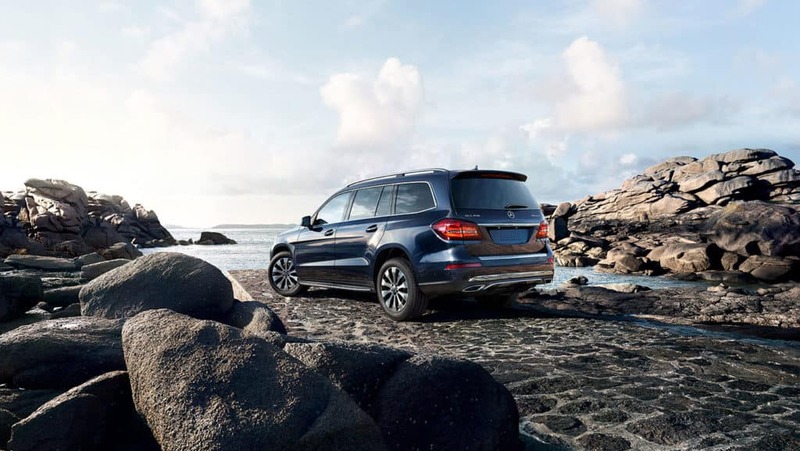 No matter which engine you choose, you’ll enjoy a smooth ride and, thanks to the GLS’ standard all-wheel drive, plenty of road grip. It’s poised around turns, and the ride quality – especially in Comfort mode – is terrific. The 2019 Cadillac Escalade has a hearty V8 engine that’s proficient at getting up to speed quickly. The ride quality isn’t as refined, however. You’ll feel corners and bumps more in this Caddy than with many other SUVs. Under the hood of the Escalade is a 6.2-liter V8 engine that’s mounted to a 10-speed automatic transmission. The 420-horsepower Escalade accelerates with ease, and it never seems burdened by its massive size. The Escalade comes standard with rear-wheel drive and a rapidly adjusting suspension system dubbed Magnetic Ride Control. Because the Escalade is built on a truck platform, it handles much like a pickup truck. It feels bulky around turns, and it doesn’t ride as smoothly as a smaller SUV. The Mercedes-Benz GLS lives up to the Mercedes-Benz reputation for quality. There are three rows of spacious seats, and the interior remains quiet even at highway speeds. Standard features in the GLS include a sunroof, *Bluetooth®, two USB ports, a 115-volt outlet, HD Radio, an 8-inch display screen, and mbrace® Connect, which allows you to lock and unlock your doors, send an address to the navigation system, and start the vehicle from the smartphone app. The COMMAND® infotainment system has intuitive menus, and its touchpad controller is a convenient way to navigate the system. Standard driver assistance features include active brake assist, driver drowsiness monitoring, crosswind assist, a rearview camera, and PPRESAFE®. The GLS has the look and feel of a luxury vehicle. The interior looks sleek and inviting, and top-notch materials cover every surface. This is one of the nicest interiors in the class. The 2019 Cadillac Escalade tenders a luxurious experience because it comes so richly outfitted. There are a few hiccups, though, including a finicky infotainment interface and a shortage of cargo space. The base system comes with navigation, a 16-speaker Bose surround-sound system, *Bluetooth®, satellite radio, HD Radio, four USB ports, and a Wi-Fi hot spot. Remote start, wireless device charging, and tri-zone automatic climate control are standard as well. You’ll also get a healthy dose of standard safety tech, such as a 360-degree parking camera, front and rear parking sensors, active park assist, Teen Driver, and a rear-seat occupant reminder system. This sleek-looking system employs an 8-inch touch screen – which is prone to showing fingerprints – and a handful of buttons for quick adjustments. The interface is confusing at first, and it can be slow to respond to inputs. *Bluetooth® is a registered mark Bluetooth® SIG, Inc. The Mercedes-Benz GLS’ attractive, well-built interior comes with three rows of roomy, comfortable seats. On the performance side, this Mercedes-Benz also features a powerful group of engines, including a V6 that has better gas mileages estimates than many class rivals. In addition, it boasts composed handling with excellent road grip, and it delivers a comfortable ride. It’s easy to see why this is one of the highest-rated vehicles in the class. If you’re shopping for a luxury large SUV, it belongs on your shopping list. The Cadillac Escalade isn’t as well-rounded as many of its rivals. But, your money goes quite far with this Cadillac. Still, its overall level of interior opulence and ride refinement are a step below a number of its rivals. While the Escalade’s truck-like platform helps it achieve exemplary towing capacities, it also curtails ride comfort and handling agility. A number of higher-ranking alternatives are worth considering. 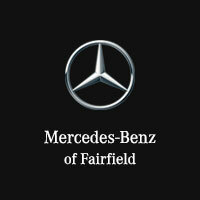 Come drop by our Mercedes-Benz dealership in Fairfield, CA to check out our new cars, you’ll see just what makes them so appealing. Speak with our Mercedes-Benz sales associates about our latest Mercedes-Benz financing options, and take a test drive today! If you have any question or concerns, fill out the for below and we’ll get back to you soon, or call (707) 430-0101.